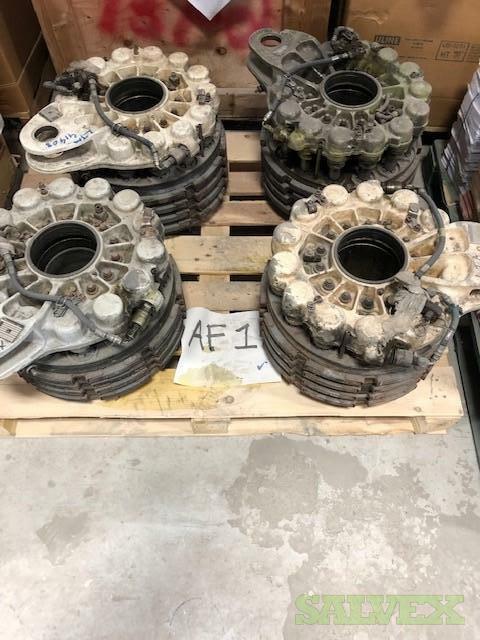 These A310-304F Spare Parts are no longer needed for the company's operations and are now being sold to free up inventory space. The seller would like to sell these spare parts as a lot. THRUST CONTROL COMPUTER B472AAM1 436 S.F.E.N.A. THRUST CONTROL COMPUTER B472AAM1 440 S.F.E.N.A. FLIGHT CONTROL COMPUTER B350AAM6 87 S.F.E.N.A. SENSOR ANGLE OF ATTACK 861CAE1 520 ROSEMOUNT AERO SPACE INC.
SENSOR ANGLE OF ATTACK 861CAE1 – 0001 363 ROSEMOUNT AERO SPACE INC.
SENSOR ANGLE OF ATTACK 861CAE1 – 0001 1595 ROSEMOUNT AERO SPACE INC.
GYRO HORIZON H 301 AKM 1 6762 S.F.E.N.A. R/DYN.ROD E4BMO 816 SFENA/SMITHS IND. R/DYN.ROD E4BMO 804 SFENA/SMITHS IND. TCAS ANTENNA 071-50001-8104 8650 HONEYWELL INTERN. FLASHER TIMING UNIT RG 1007AA03 NSN HONEYWELL INTERN. MULTI TARK INDICATOR 1406KID-03 XS561 SMITHS IND.